Considering a new technical support service? 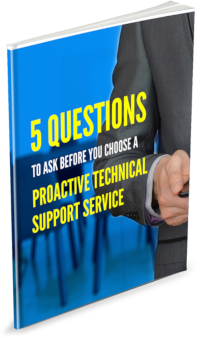 Find out why you should choose a tech support service that is proactive instead of reactive, what it should look like in the context of your business and how you can make an informed decision. Click here to subscribe to our monthly newsletter and access your copy of this book – don’t worry we won’t share your details and you can unsubscribe at anytime. DIY IT, It May Cost More Than You Think. As always, if you want to talk about Proactive IT Support and how it can help you, please give us a call on 08 8326 4364 or support@dpcomputing.com.au. 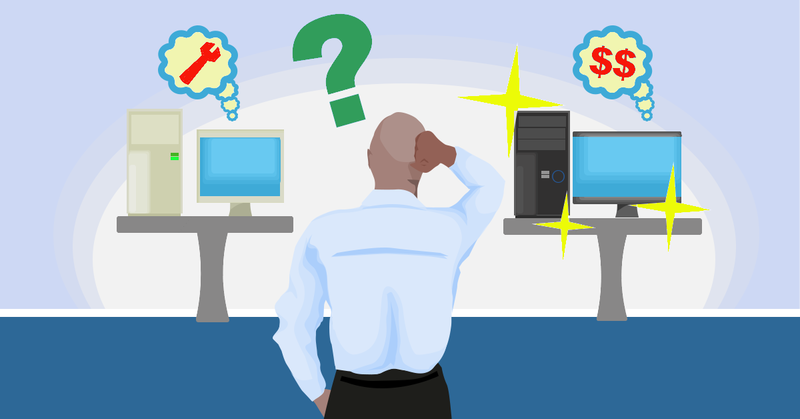 Outsourcing vs Proactive IT Support – What Is the Difference? Outsourcing has become a dirty word. It implies that you are taking jobs and work offshore or giving up oversight over a key part of your business. 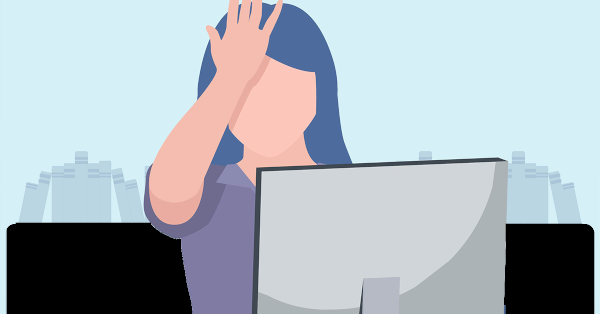 Proactive It Support or Managed Services (or MSP – Managed Service Provider) is the complete opposite of that and is a local solution. Your business already looks for help in various places, hiring consultants, agencies and other contractors, all so that you can focus on running your business. Proactive IT is simply another of those specialized services, designed exclusively to help with your technology needs. Our team act as partners dedicated to achieving your business success. We are able to analyze your strategic needs to tailor IT solutions specific to your business requirements. We work hand-in-hand with you to design, implement and maintain your IT and keep you involved at every step of the way. We will also be up to date on industry news and where relevant can apply it to your business so you don’t lose your edge. When new software versions are released, we can help you make informed decisions about whether to upgrade, stick with current version a little longer or switch to an alternative. You will have a true partner on your team that’s always looking out for you and your business. Since our team get to know your business so closely, we are able to ensure all your tech support and maintenance is handled quickly and without disruption to your daily running. You will be able to keep your employees on task while our experienced technicians work through the issue, often remotely so the response is quick and disruption is kept to a minimum. Unlike standard outsourcing where you lose control of certain elements and are left to hope for the best, Proactive IT Services are completely transparent. You can get reports on the status of your computers or networks, the number of support tickets we’ve answered and exactly what we’ve been doing to keep your technology up and running. This level of visibility also means you’re able to see IT trends across your business and make strategic decisions to improve productivity and efficiency. All of us have called a support number and found ourselves stuck in a frustration loop with an overseas call center. It is almost the entire reason outsourcing has earned a bad name. Our Proactive IT support service is actually a local service, a real-life business near you who employs local people and supports the local economy. Keeping your IT support nearby means you can get the tech assistance you need, with local knowledge, and customer service standards that make the process easier. Part of any Proactive or Managed IT service is to ensure your computers, network and digital devices are secure against threats. This means updates, patches, scans, tweaks, backups and system maintenance are all done for you. Your employees no longer have to worry about making time for these tasks and you don’t have to worry that they are getting skipped and opening up your systems for possible attacks. This level of proactive support ensures problems are stopped before they can occur and your business is able to keep on functioning. If anything ever goes wrong, your IT provider will have prepared disaster recovery and continuity plans so that you are up and running asap. With Proactive or Managed IT, you will be able to reduce infrastructure costs very quickly as your IT partners are able to recommend better, faster solutions such as cloud storage and mobile technology. Instead of replacing hardware and software when things break, your IT experts will present plans with multiple cost-saving options and strategies. These can often extend to licensing and training too. 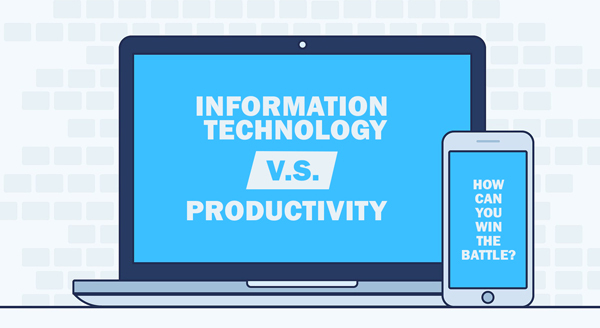 Productivity improves as the technology begins to work with your processes and employees, not against them. Predictable costs are important to every business, which is why Proactive or Managed IT is the right choice. You’ll know your monthly expenses are capped, and you’ll be able to avoid expensive surprises. Considering Proactive or Managed IT? Then reach out to us today on 08 8326 4364 or support@dpcomputing.com.au. Congratulations on starting your new business! Costs can easily escalate and tech is often one of the bigger expenses. Just the sheer number of technologies available can overwhelm and confuse you. The latest tech has amazing features you didn’t know you needed, and suddenly your budget has gone skywards! 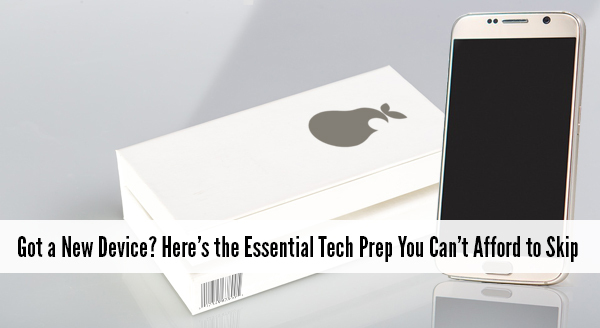 So how do you get the tech right for your business, without all the headaches and drama? Using a cloud application may mean you can skip the big server purchase and the ongoing maintenance costs of a server. Many line of business applications will have a cloud option that allows you to get all the benefits without the big upfront expense. So before you make the hardware purchase, look at what applications you require and whether a cloud version will suit your needs. You may be able to start with a basic package and expand to new versions as your business grows.Things to consider include: do you require remote access, will you need collaboration, do multiple users require access. This level of detail can be overlooked and causes expenses to spiral. It is easy and cheaper to ask friends and family what their recommendations are, but there are many more factors to consider than just their personal preference. Of course you can trust their input but they may be speaking from a consumer perspective, basing their recommendation on brand loyalty or on how another business does things (which may not be the best business model). As every business is different and matching the correct technology with the business can save you a lot of money and time in the long run. 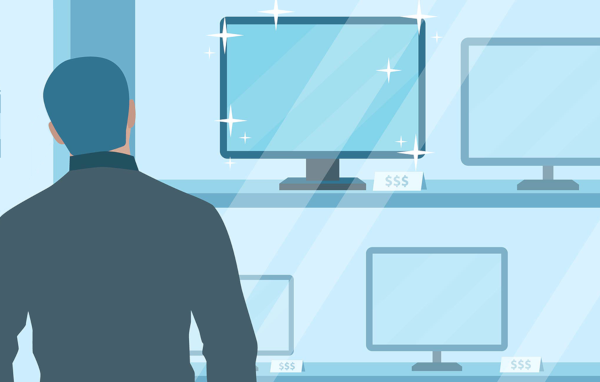 The majority of computers and laptops you see in the big department stores are not up to business standard. They are designed for home users to perform quick tasks and not run a full 8 – 12 hour (or more) a day workload. Business grade systems have additional features that your business needs, plus longer warranties and better support. Even attached peripherals like network switches and printers are built to a higher standard, to last longer and perform better. Businesses grow and evolve during their first few years and the last thing you want to do is go out and buy new tech, playing catch-up and cobbling together an assorted mismatch of devices. Your new technology should be as flexible as your business, which means making purchasing decisions based on business strategy and not just on price. 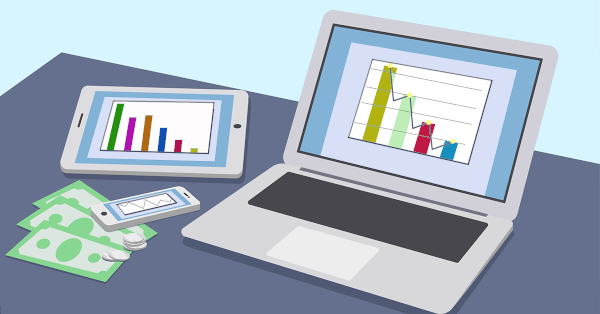 Perhaps this means instead of workstations for employees, they may only need tablets or rather than having a fixed point of sale system, you might choose mobile checkout devices so your staff can assist customers on the go. These two examples highlight how easy it is to commit to certain tech because it is ‘what you do’ but later discover you’re locked into a certain way of doing business. Trying to change business processes down the line impacts productivity, efficiency and culture in a big way, so we recommend buying with your future success in mind. During your initial set up and growth, you will need an IT partner who can not only help with your purchase strategy but support you through any problems as they occur. That is the difference between a partner and a supplier, a partner is committed to driving long-term business success for you. 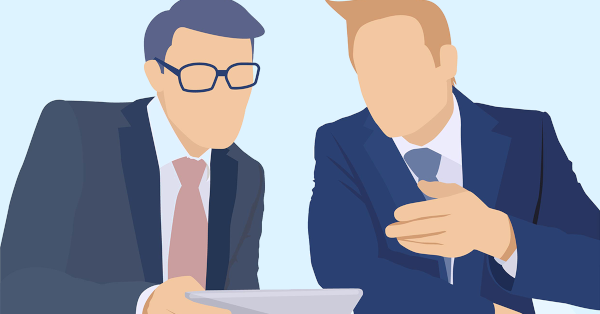 You can call on your partner and know they are immediately up to speed with your business, they know how IT can help leverage your competitive advantage and which critical systems they should focus on. Getting good technology in place shouldn’t be seen as just an expense. It improves your productivity and allows you to serve your clients and customers better while enjoying consistent growth. If you need an IT partner to help your business grow, give us a call at 08 8326 4364 or support@dpcomputing.com.au. Why You Shouldn’t Let an Amateur Loose on Your Network? Most of us know a fair amount about computers, even kids are soldering electronic circuits and doing programming courses in schools – but does that make everyone an IT guru? Most workplaces have an employee they can turn to for basic computer troubleshooting. Yes they have skills, but they often know just enough to be dangerous if let loose on your business network. 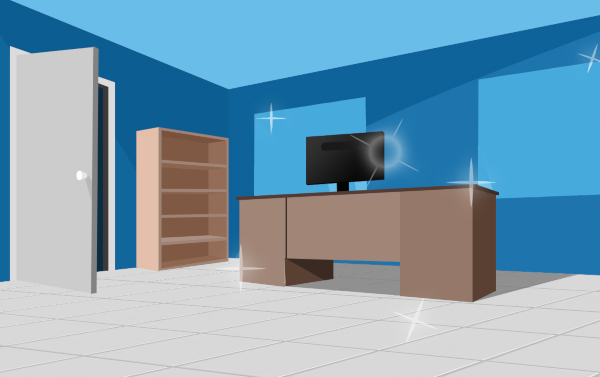 Casual IT skills are learned on home computers which are very different to a professional business setup. When something goes wrong on a home computer, there is no drastic impact if parts need to be replaced, data is lost or it stays down for a week or two. In a business setting, every problem costs time and money and can create a domino effect throughout the entire network. Would you gamble the success of your business with a non-professional who did a quick Google search? You wouldn’t let someone be your lawyer purely on the fact that they can deliver a good argument, nor would you let someone perform surgery just because they saw it in a video on YouTube! Businesses have unique, specialist IT needs that to go beyond amateur computer skills and there is always a lot more money and time at stake. Designing a custom backup solution for your business is a particularly interesting area. While most home users skip this part entirely, an IT professional has seen (and recovered) all manner of situations and will use that knowledge to ensure that if the worst happens to your business, you are safe and the data can be recovered. This could mean anything from having a complete copy of your drive stored securely in the cloud or drilling down to backup only the most important data. An IT expert is equipped to help you identify the value in each piece of data and implement a plan so robust that if your business is ever hit by disaster or breach, downtime and any losses are kept to a minimum. If a disaster ever does occur, like fire, flood or theft, would an amateur know what to do? Who to call? These situations are so charged with tension and panic and making a wrong moves can lead to more damage. A professional helps design continuity / disaster plans, which show exactly what should happen, who should do it and in what order. It takes out the guesswork during the mayhem when issues occur and minimizes downtime. Perhaps more importantly, the expertly written disaster plan will include a complete risk analysis so that you know in advance in what areas to strengthen your protection. It also includes a business analysis so you know which systems are dependent so you can stop the domino effect, plus know the legal / contractual & financial impacts and so on. Your IT professional will also help ensure your business is meeting any regulatory requirements. Many businesses are subject to strict data rules set by the government. These regulations change often and demand increasingly more attention to data security, with hefty penalties for businesses that fall behind. Professionals are constantly in the loop around upcoming revisions and how to best comply with little to no disruption to your daily business. Part of ensuring your business is safe means staying on top of security, software updates and patching multiple computers at the same time. The best option is to run the updates before employees arrive for the day, and since the process can take a few hours and be quite fiddly, it is generally not something amateurs will prioritize and thus they can tend to forget them. Unfortunately, as we’ve seen with recent cyber-attacks, delaying a security update can lead to disaster. Engaging an IT professional is a cost-effective solution that keeps your business running, growing and earning. Let the professionals manage your tech the right way by calling us at 08 8326 4364 or at support@dpcomputing.com.au.